Heriz (Harees) is a small city near Tabriz in the province of Azerbaijan in north-western Iran. 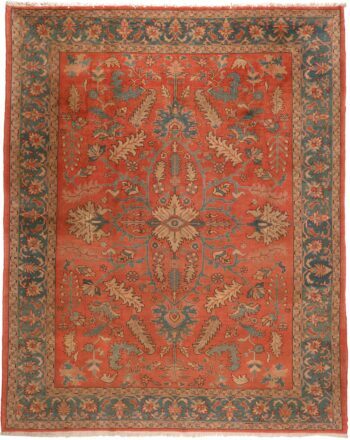 The term Heriz rug is also often applied to rugs from the surrounding villages and cities, like Goravan, Ahar, Mehraban, Sarab, Bakhshaish, Serapi (antique Heriz carpets are sometimes called Serapis). The tribal Heriz rug is a thick, tough, heavy carpet, usually of larger size, smaller Heriz rugs are not that common. 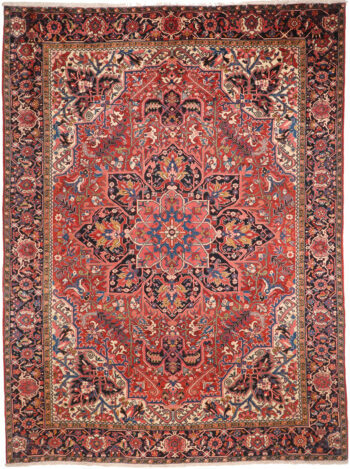 A significant reason for the toughness of Heriz carpets is the high quality of the wool from this area. Heriz silk carpets can also be found, they are very rare, though. Popular colours include earth tones like shades of rust red, beige, navy, brown and black. 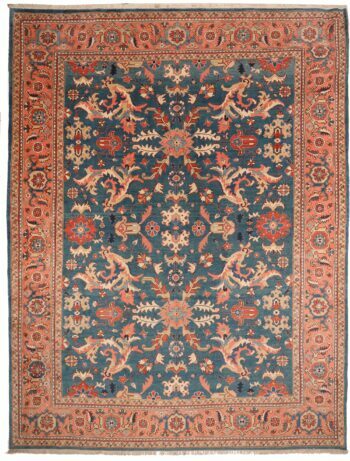 The weavers of oriental Heriz rugs prefer geometric patterns, often a large squarish medallion in black or navy blue within a lighter field, but also tribal patterns do occur.